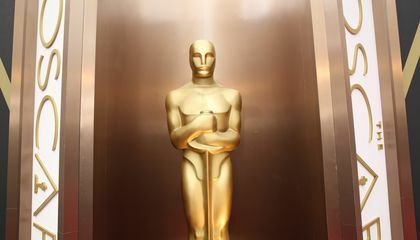 Hollywood continues to be rocked by a backlash to the lack of diversity in the Oscar nominations and in the film industry at large. But it doesn't have to look far for inspiration. Just turn on the TV. Where the movies have lagged, television has recently exploded with diversity. Now, the film industry will be playing catch-up to the small screen. Television is where some of the most talented people of color have turned for greater artistic freedom. It provides the chance to tell more varied stories. Ava DuVernay is the director of last year's best picture-nominee, "Selma." Now she is at work on "Queen Sugar." It is a drama series for Oprah Winfrey's OWN. John Ridley, the Oscar-winning screenwriter of "12 Years a Slave," is in the second season of his acclaimed ABC series, "American Crime." Forest Whitaker, who won best actor for 2006's "The Last King of Scotland," is part of a "Roots" remake for A&E. Two-time Oscar nominee Viola Davis is on Shonda Rhimes' "How to Get Away With Murder" for ABC. Television is a faster, livelier medium than film. Movies regularly take years to make. TV also has some structural advantages. Power in Hollywood is still largely held by the six major studios and a handful of other large production companies. In television, there's a true ocean of opportunity. It includes cable and streaming networks with deep pockets and a willingness for riskier material. The TV landscape was less diverse just a few years ago, but for now it's flush with the likes of Lee Daniels' "Empire," Aziz Ansari's "Master of None" and Jill Soloway's "Transparent." 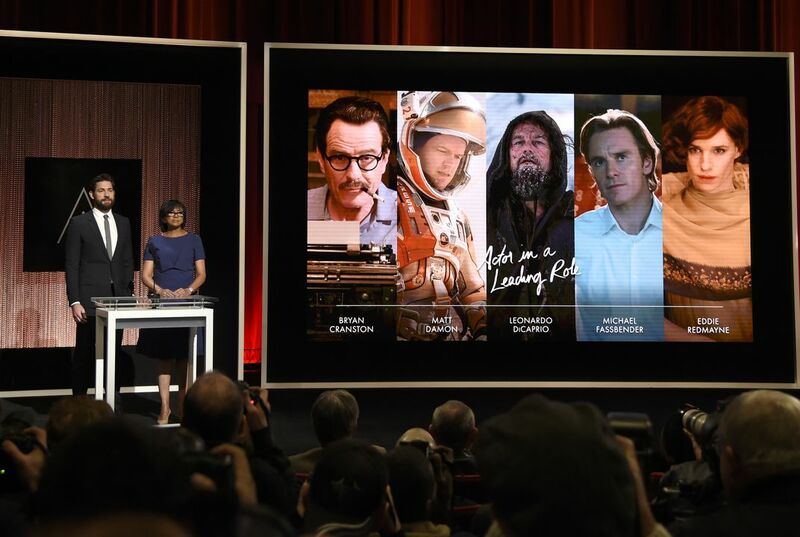 To compete in an increasingly crowded media landscape, studios invest in fewer films. Instead, they focus on blockbusters. Those can sell tickets around the globe. It's a strategy that has been largely working. A record $11.1 billion was spent at the box office in 2015. But it has put a stranglehold on distinct voices, of any color, who find little daylight between hulking franchises. As a producer, Whitaker twice found rejection at the studios before raising money independently for 2013's "Fruitvale Station." New streaming platforms have provided channels for some filmmakers. Spike Lee, who has said he won't attend the Oscars, found a home for his latest film with Amazon. The child soldier drama "Beasts of No Nation" came from Netflix. It provided the much-praised but un-nominated performance by Idris Elba. But in today's uniform Hollywood, variety of any kind is hard to come by. Additional change is often measured in the makeup of franchises. Two of 2015's most popular films were "Furious 7" and "Star Wars: The Force Awakens." They earned more than $1 billion. Their casts came closer to reflecting American society and moviegoers than blockbusters of the past. After years of white superheroes, Marvel has enlisted Ryan Coogler to direct its "Black Panther" movie. Darnel Hunt is the head of UCLA's Ralph J. Bunche Center for African American studies and warns against viewing actions of diversity as symbols of deeper progress. "I don't think most of the public is aware of what goes on behind the scenes and how exclusionary the business really is. Particularly if you see people of color on screen, which you do increasingly see on television," says Hunt. "But if you look behind the scenes, you don't see nearly as much diversity." Hunt co-authors UCLA's annual Hollywood Diversity Report. Year after year, the results have been negative. Minorities make up nearly 40 percent of the U.S. population, but they get only 17 percent of the lead roles in theatrical films. Hollywood executives are 94 percent white and almost entirely male. Though TV has made some strides in front of the camera, its boardrooms and writers' rooms remain largely white and male, too. There is more diversity on TV than in movies because TV is more open. The text states, " TV seems more open because they're making a lot more TV." This means that TV wants more of a change and mix different races together. There is more diversity on TV than in movie's because, "TV care's about it's audience" say's Viola Davis which mean's movie's sometimes take years to film and TV film's every week and most of the time TV has some structural advantages. TV has more diversity than in movies because people of color have more artistic freedom in TV. It says "Television is where some of the most talented people of color have turned for greater artistic freedom. It provides the chance to tell more varied stories." There is more diversity on TV then movies because television was made for people of all different colors to tell their stories.The author states on line 7 and 8 of the 2nd paragraph that "Television is where some of the most talented people of color have turned for greater artistic freedom. It provides the chance to tell more varied stories". There is more diversity on TV than in movie because according to the text "TV is a faster,livlier medium than a film." Which they explained in which a movie take yrs. To make and TV i s faster. Also there is more diversity because according to the actor Viola Davis "Tv cares about it's audience." Which is explaining there are people who would like to see more diversity and that is what happens. There is more diversity on TV because the writers of the shows might be look for a certain race, hair color, skin tone, body type. In movies there’s less diversity because most movies are based on the past and the writers don’t need as many African –Americans. Tv has more audience than movies because tv get their money from advertisement and they present shows that attracts different kind of people because they need everyone to watch. The article states,'"TV cares about its audience," says Davis. In September, she became the first African-American to win an Emmy for best actress in a drama. "TV wants to cater to the demographics of what is America."'. Television is widely available to all Americans, and the reason is they need to appeal to all audiences present in the US. Movies are more expensive to watch and buy, so the movie industry has been focusing on one particular market, which just so happens to be people of white background. I liked this article. I have done some acting, and I like to know about the movie and television industry. There is more diversity on tv because they have a lot of money. it's easy for anyone to just turn on the television and see what movie is on. Especially antenna TV or cable television. Because antenna TV they don't give you many choices on what to watch.